EnCircle Business Post 365 Ltd, owner of The Sunday Business Post, has announced the acquisition of event management company iQuest from outgoing owner Michael Nolan. The acquisition forms part of a wider strategic plan for the development of the media and business services group, which will be driven by a dynamic digital growth strategy while also building on its successful print product, The Sunday Business Post. iQuest has an ambitious pipeline of events planned for the months ahead, following the completion of 14 successful events last year across business, construction, banking and finance, IT and property. 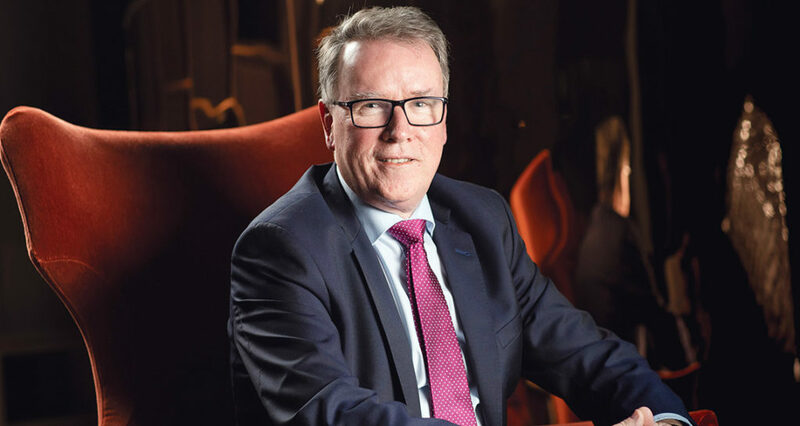 “The acquisition of an events business marks an important part of the new strategy taking shape,” said Enda O’Coineen who is chairman of Kilcullen Kapital, owner of The Sunday Business Post. Following the acquisition, Michael Nolan will assume the role of chairman of iQuest, which will operate the Business Post events business, and will be led by newly appointed managing director Sarah Murphy. Events planned for the coming year will include the Growth Capital Summit, which will take place in Dublin on May 30, focusing on the need to facilitate greater access to long-term finance and liquidity for Irish businesses. “The Growth Capital Summit is the first in a series of exciting additions to the existing events programme that spans a range of industries and disciplines,” said Murphy. Prior to her appointment as managing director of iQuest, Dublin native Murphy was a director at the Irish Post, the biggest selling national newspaper for the Irish community in Britain and a digital media outlet for the global Irish diaspora, based in London, for eight years. A graduate of Trinity College Dublin, with a BA in Business Studies and French, and an MA in Events, Marketing and Management from London Metropolitan University, Murphy has spent most of her career in Britain. In that time, she has gained deep event management and media experience. As director of commercial operations at the Irish Post, Murphy played a leading role in the re-establishment of the highly acclaimed and televised Irish Post Awards. She was also pivotal in establishing the media firm’s corporate network, business magazine and events series and leading the upward digital growth trajectory of the organisation. She is chair of the Dublin Board of the British and Irish Trading Alliance. “The media landscape is rapidly changing and it is a great honour to take over this new role at iQuest and the Business Post events business and lead such a strong team,” said Murphy. “I am excited and looking forward to bringing iQuest to its next stage of development and developing a strong portfolio of events. Michael Nolan said the acquisition would deliver a significant boost for iQuest and its team. “We have had a great partnership with The Sunday Business Post and this most recent deal is a natural progression,” said Nolan, who has led iQuest for the past 18 years, establishing a successful track record. Nolan began his management career as an executive with the Jefferson Smurfit Group in Mexico. From there, he moved to the Southern Hemisphere where he successfully developed and ran event companies in Australia, New Zealand and London, before returning to Ireland to set up iQuest in 2001. In addition to his new role as chairman of iQuest, Nolan has been appointed to the group Advisory Board. Facilitating access to long-term capital will be the focus of a major national event taking place in May. The Growth Capital Summit will be held in Dublin on Thursday, May 30, in conjunction with The Sunday Business Post. High-profile speakers will include Rory Godson, founder and chief executive of Powerscourt, a leading specialist on investor relations; Orla O’Gorman, head of equity listing Ireland at Euronext Exchange; and Pat McCann, chief executive at Ireland’s largest hotel group, Dalata. The event will be aimed at meeting an important need in the Irish market in helping growing companies to access equity and bond finance to drive the next stages of their development. It will also be of interest to early-stage investors who want to exit their investments. “There is an enormous problem in Ireland at the moment in matching long-term capital with companies,” said Enda O’Coineen, chairman of investor Kilcullen Kapital. “There are tremendous initiatives from the state through the Ireland Strategic Investment Fund, private funds and Enterprise Ireland, but they all have a sell-by date to recycle their investments.